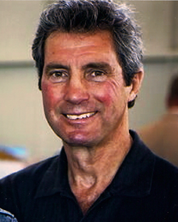 Paul H Roggenkamp is the Founder and Principal of LEAD with COURAGE. His passion is developing leaders by coaching and teaching using workshops and individual one-on-one coaching/mentoring sessions on the job site. His foundation of leadership from the US Military Academy at West Point, New York, universally recognized as the finest leadership institution in the world, was learned, practiced, tested and proven over more than 50 years in three diverse careers. 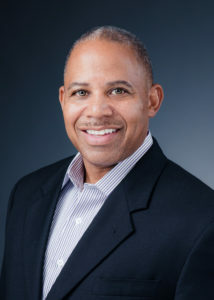 He is a transformational leader, dynamic skilled teacher, public speaker and coach with experience at UCLA, North Seattle College, countless US Army assignments in multiple countries, workshops with international corporations, regional companies, organizations, sports teams and individuals. Ron Higgs is a leader, mentor, coach, and facilitator on the LEAD with COURAGE team. His passion is leadership development through mentoring, coaching and empowering individuals to take charge and lead others to success.Ron is a graduate of the United States Naval Academy in Annapolis, Maryland, where leadership is a cornerstone principle embedded into its’ mission since it was established in 1845. He has over 20 years’ experience leading technical teams in the Aerospace and Defense industry. In addition to professional work, Ron is a community leader in his Bellevue, Washington community. He has been president of his local resident’s association, chair of a commission appointed by the Bellevue mayor, and is currently serving as a member of the Bellevue Library Board appointed by city council.He is a skilled speaker and facilitator and works closely with Paul to deliver solutions to our clients in their journey to LEAD WITH COURAGE. 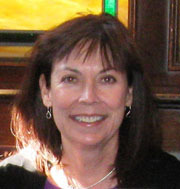 Lorna Schanzenbach is LEAD with COURAGE’s Executive Administrator and Vice President. She is a graduate of the University of Montana with a Bachelor of Arts degree in Sociology, is a certified Court Reporter and certified in Human Relations from San Francisco State University. She worked nationally as a free-lance court reporter in San Francisco for over 20 years. She taught Computer Technology for Court Reporting and Closed Captioning for three years at Green River College, simultaneously in class and on line. She has also excelled as a Medical Scribe in Franciscan Health Services. 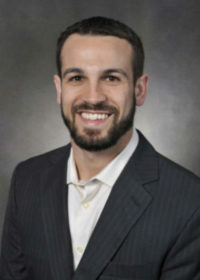 Joey Hollenbeck, Washington State University Graduate with Bachelor of Science Degree in Sport Management and Leadership, 4 year starter for Cougar Football team, NFL player who spent 2 seasons with the Buffalo Bills and 2 seasons with the Seattle Seahawks, and is now a business owner and assistant football coach. Joshua Wiebenga, is currently a Senior Analyst/Business Development at The Boeing Company , Flight and Maintenance Division of Boeing Global Services. 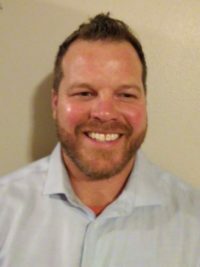 He is a skilled emerging leader who graduated from Boeing’s internal “Leadership Next” program, and has Bachelor Degrees in Accounting and Business Administration from Central Washington University. Josh also has a Masters Degree in Business Administration and a master’s certificate in project management. He has served as Chief of Staff for Commercial Aviation Services in Boeing Business Operations. He has been passionate about leadership since his senior year of high school as Captain of his football and wrestling teams. He is exceptional working with new supervisors and managers and also works with LEAD with COURAGE athletic programs. Former Pacific Northwest Zone Leader, Now Vice President, Franchise Systems, 7-Eleven, Inc.
Certified Business Consultant 7-Eleven, Inc. Owner, Chief Executive Officer AC Moate Industries,Inc. Chief of Staff to CEO of 7-Eleven, Inc.
General Manager AC Moate Industries, Inc.
Controls Project Engineer, Dematic, Inc.